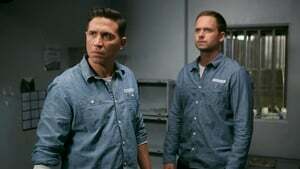 Mike transitions to prison life while Harvey, Jessica, Louis, Donna and Rachel deal with the fallout of Mike’s plea deal and try to prevent what’s left of PSL from collapsing. Louis, Jessica and Harvey fend off a class action lawsuit from PSL’s former clients. Meanwhile, Mike runs afoul of a fellow prisoner due to reasons beyond his own control. Mike tries to stay safe without violating Danbury’s unwritten rules. Jessica and Harvey try to land a whale. Louis searches for an office tenant. Rachel goes up against a fellow student. Mike tries to gain Kevin's trust. Harvey enacts a risky plan. Jessica tries to mend the firm's reputation. Rachel hits a roadblock. 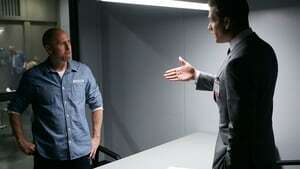 Louis enlists Donna's help. Harvey defends Sutter from Cahill. Mike's past threatens to derail his mission. Rachel and Jessica seek evidence to re-open a case. Louis woos Tara. Harvey, Louis and Donna search for a missing link to Sutter's inside trading. Mike takes measures to get Kevin on his side. Rachel and Jessica deliver bad news. Harvey counters Cahill's star witness. Mike tries to deliver a witness himself. Jessica and Rachel try to delay Leonard's execution. Louis adjusts to life as the other man. In order to protect Mike, Harvey considers putting Gallo back on the streets. Jessica and Rachel get Bailey's case re-opened. Louis deals with anxiety over Tara. 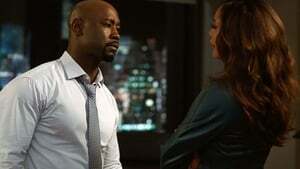 Jessica and Rachel fight to save Leonard Bailey. 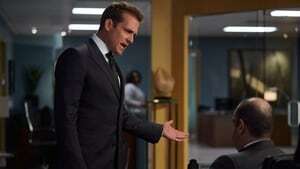 Harvey and Louis try to keep clients from abandoning ship by wooing their oldest client. Harvey, Louis and Donna plan for a future without Jessica; Mike adjusts to life as an ex-convict; Rachel considers her options. Harvey tries to repair a broken relationship - leaving Louis, Donna and Rachel to manage PSL in his absence. Meanwhile, Mike gets a helping hand from an unexpected place. Rachel receives a letter that creates an unexpected issue for Harvey and Louis. Mike's mentorship of Oliver and Marissa gets put to the test. And Donna gets a surprise from the IT department. Harvey and Mike walk a fine line when they partner on a class action. Louis needs Rachel's help impressing a client during an annual presentation. Donna and Benjamin refine their product. When Mike's class action hits a snag, it might cost him more than the case; Harvey, Louis and Rachel consider getting their hands dirty; and Donna and Benjamin seek an investor. 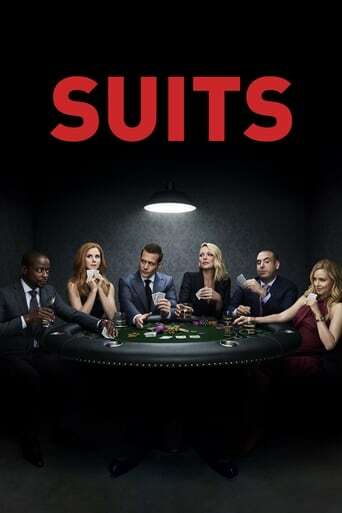 Mike needs Harvey and Rachel's help to overcome an impossible obstacle, or his dream of becoming a real lawyer is over. Donna's new venture hits a snag. Louis tries to patch things up with Tara.